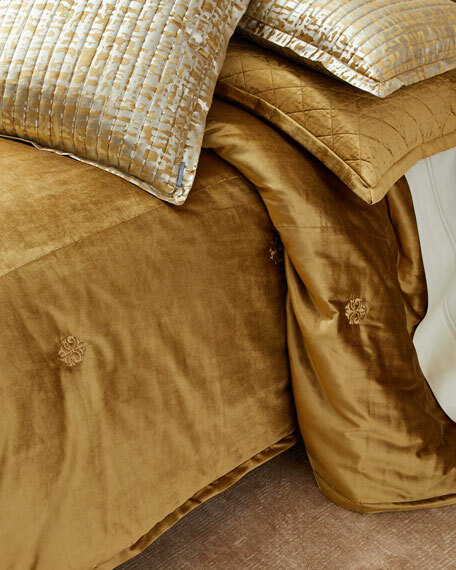 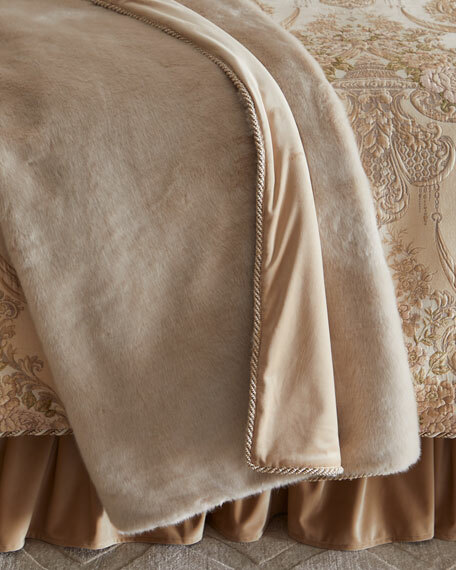 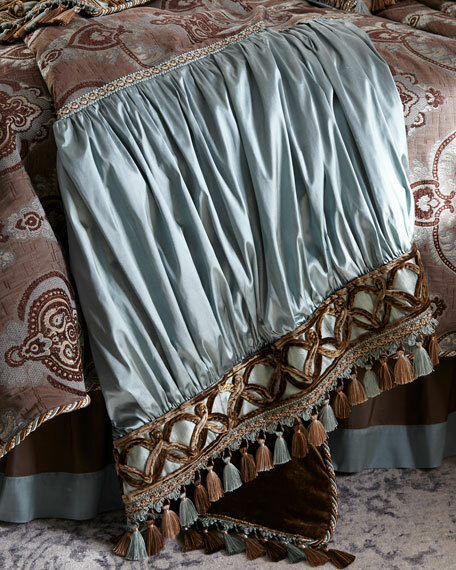 Velvet comforter with embroidered details. 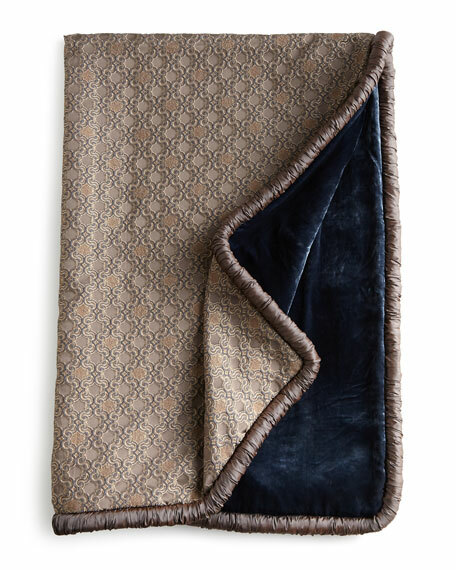 Quilted sham in metallic spots pattern. 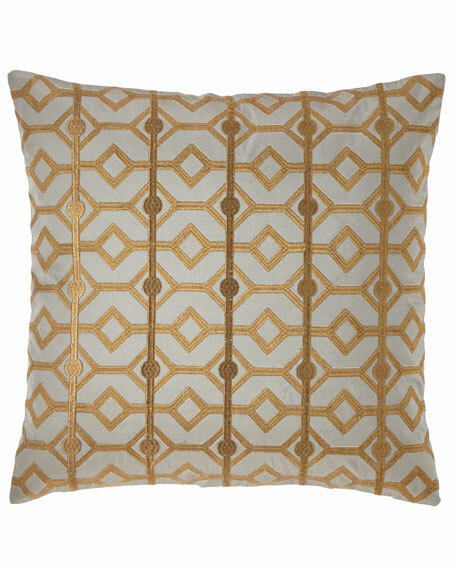 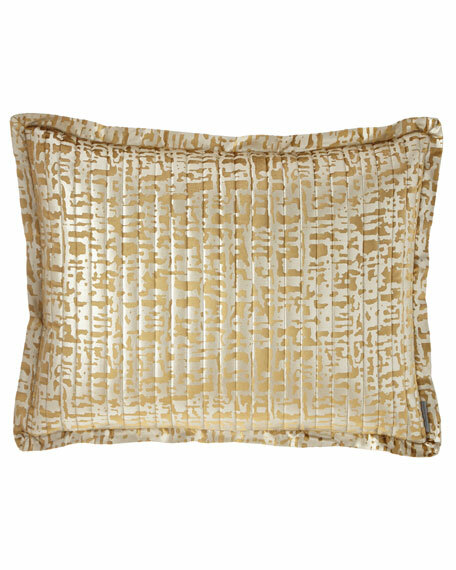 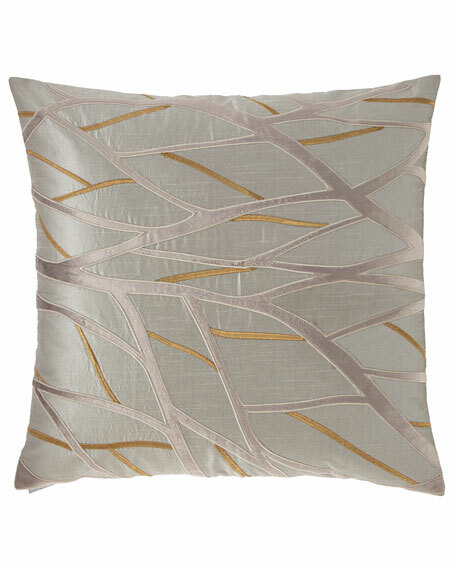 Decorative pillow with contrast geometric embroidery. 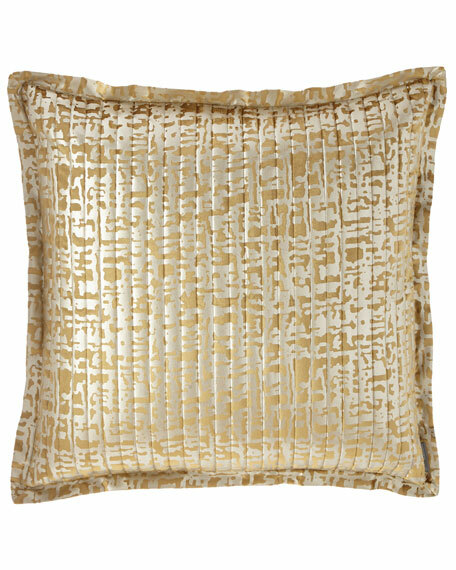 Decorative pillow with velvet appliqués and contrast embroidery. 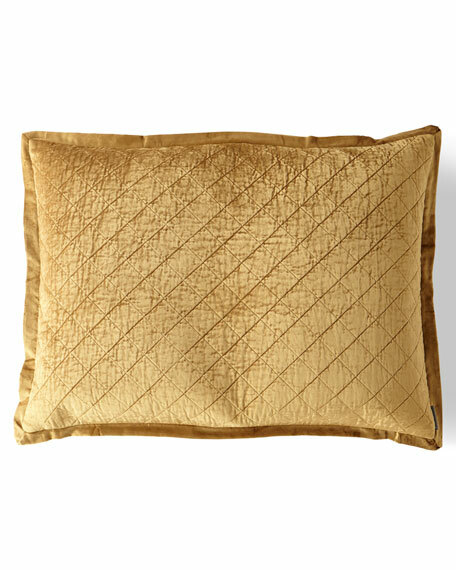 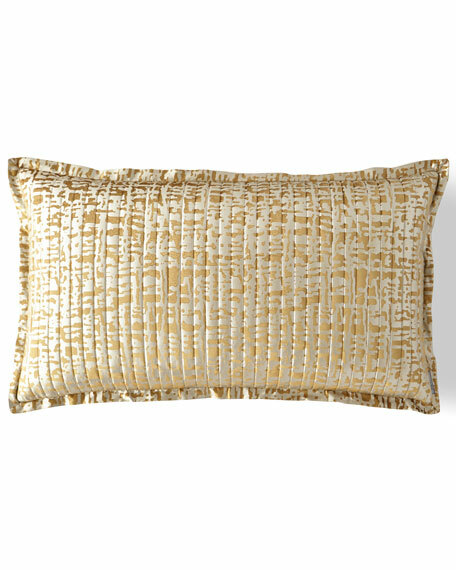 Pillow in faux fur (polyester). 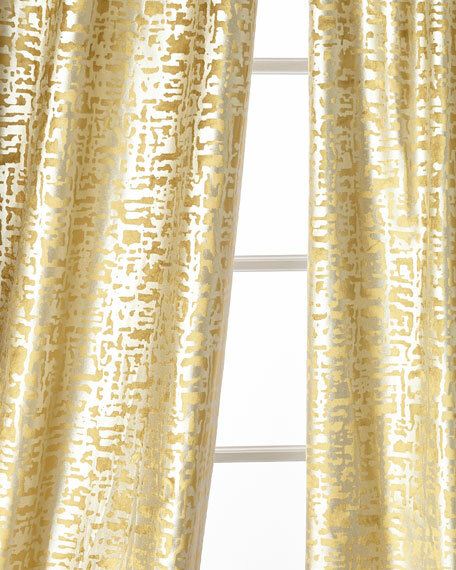 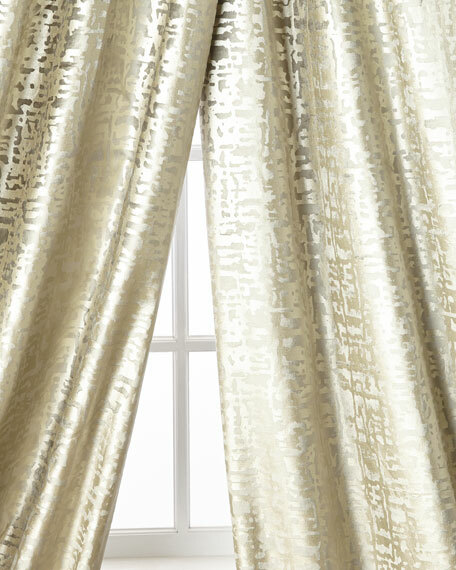 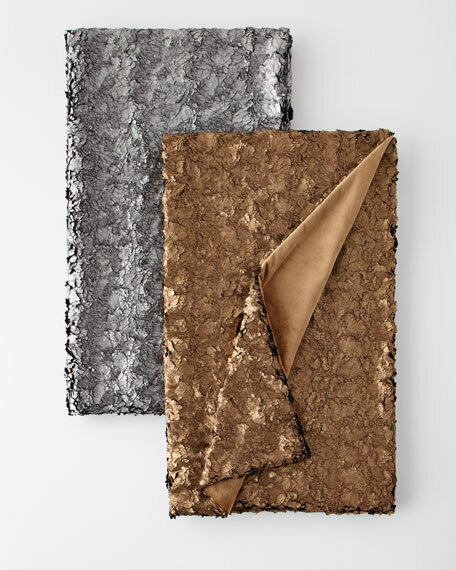 Drapery panel curtains in metallic printed velvet.